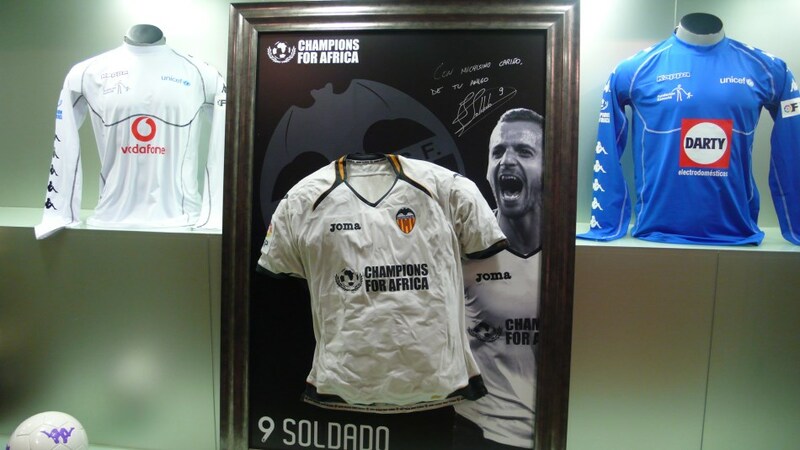 This Work belonging to Roberto Soldado was designed for “Champions for Africa” in December 2011 on the occasion of the benefit soccer match, celebrated in Mestalla. 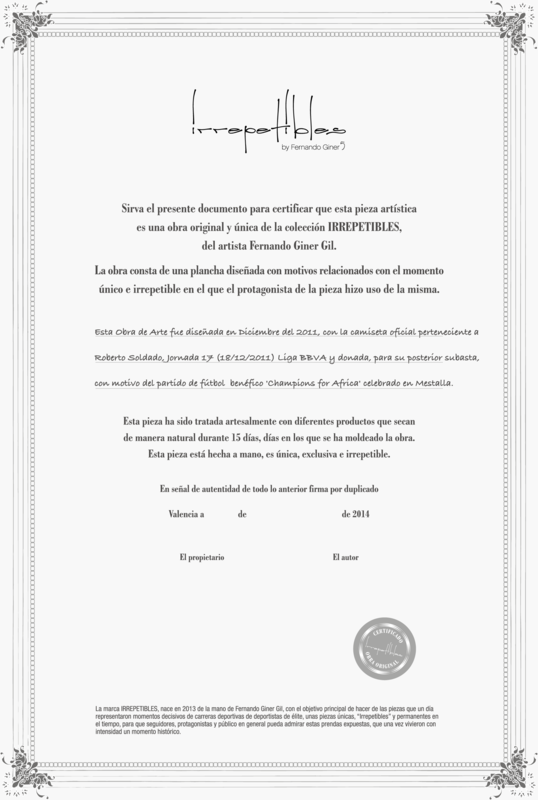 This work was an opportunity to transmit the strong values of soccer in a common cause. 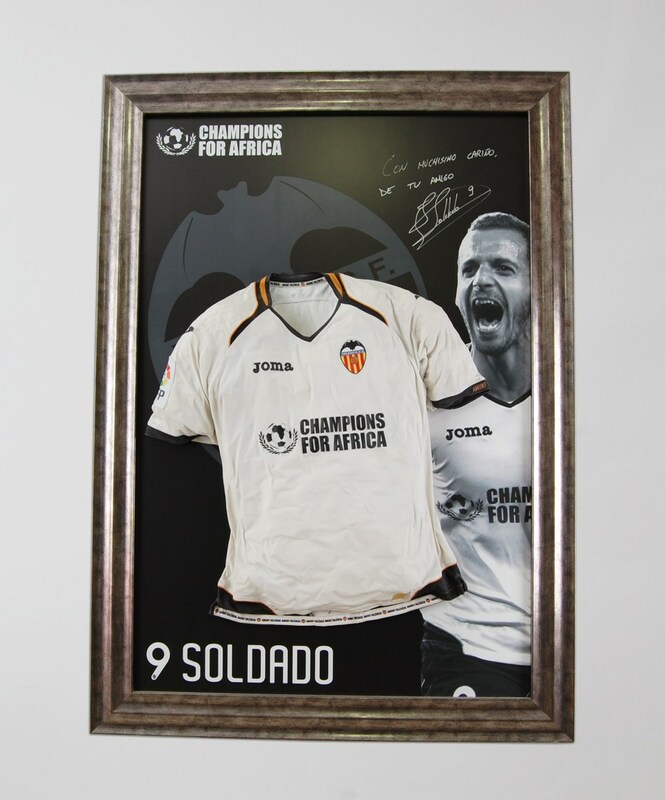 The involvement of Roberto Soldado in the project was essential. In the work he attempts to mold everything experienced that day, and mainly those values with which Robert fought over the months and that can be summarized in a single word: “solidarity”.